1st Raiding Squadron Royal Marines badge, also known as a crest or a plaque. 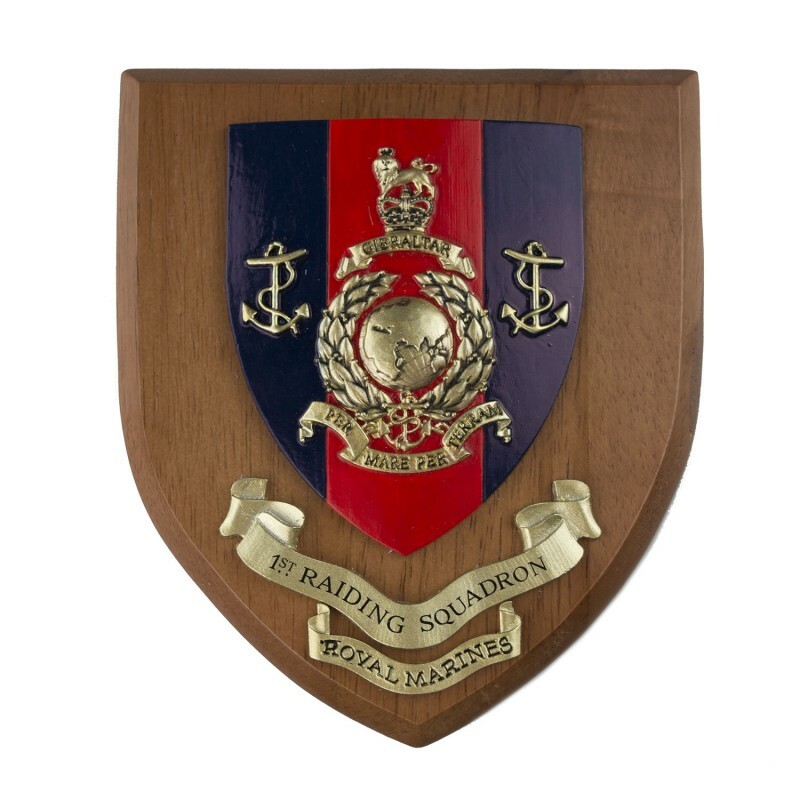 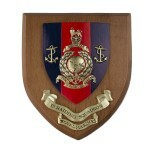 The 1st Raiding Squadron Royal Marines ships badge is features a shield. 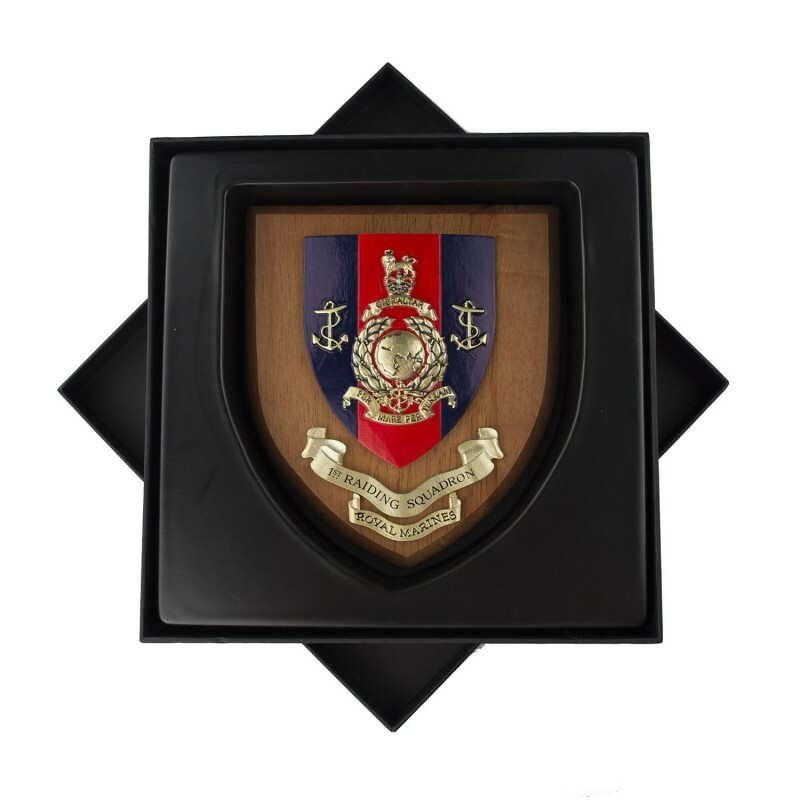 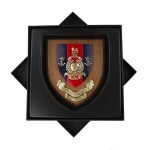 All of our unit badges are handmade and manufactured using a hard-wearing resin. 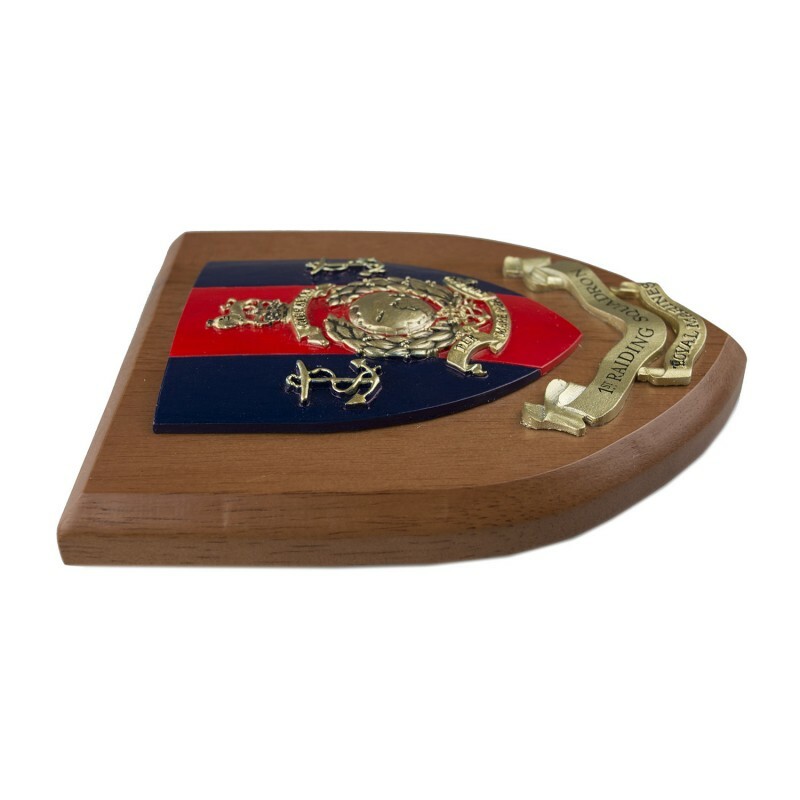 The wooden mounts are a mahogany-stained hardwood, featuring a chamfered edge and a wall-hanging hole. These ship badges make ideal military gifts.